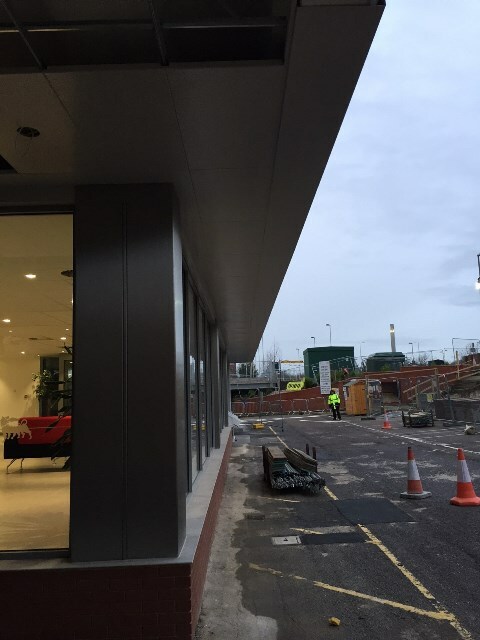 The design and installation of a bespoke external clip-in ceiling to the entrance lobby of ENI’s Basingstoke office. 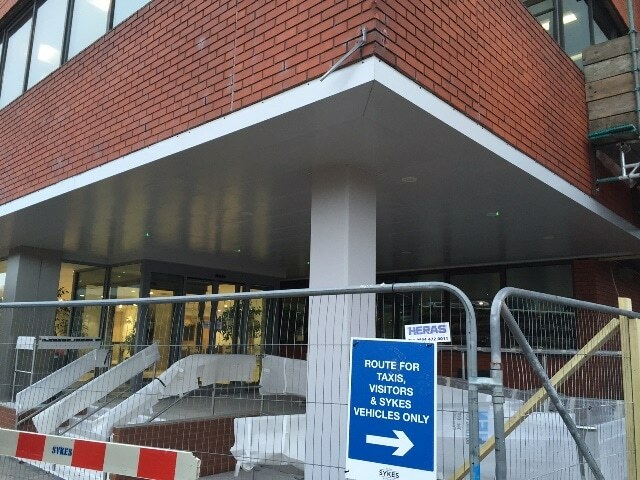 We were engaged to provide a modern and cost effective solution, incorporating lighting, column detail, and edge capping. delivered a ceiling that looked sleek, modern and weather-proof.